With a unique mix of food, atmosphere and service, Le Regency Deli stands out in the American Deli landscape. After owner Paul Ayanian opened its doors in 1977, in San Francisco CA, Le Regency immediately began to establish a reputation as the quintessential San Francisco delicatessen. The menu features many varieties of gourmet sandwiches, fresh soups and salads. 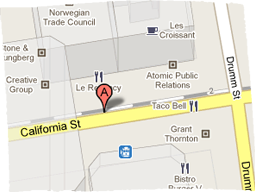 Le Regency stands out as one of the best delis in San Francisco. 5:30 am to 10:45 a.m. 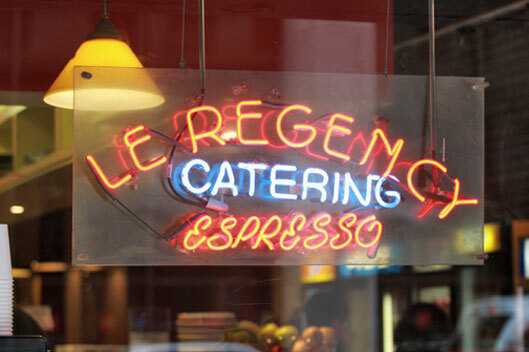 Le Regency Deli is one of the best delis in the Financial District. Having been a customer for over 30 years I have no hesitation in recommending Le Regency to anyone interested in great food, fast service, reasonable prices and nice people. Try it and enjoy! © 2018. Le Regency Deli. All rights reserved.